New release: Television scholars/archeologists Alan Hayes and Richard McGinlay have just released a new book about Police Surgeon, the UK crime drama that, through its cancellation, historically laid the foundations for The Avengers. Not much information has been available about the series- until now! Spy Vibers may remember Alan for our interviews about his Avengers books and for his in-depth review of The Prisoner audio drama series. Alan stopped by the Spy Vibe lair today to chat about his new release. Welcome! 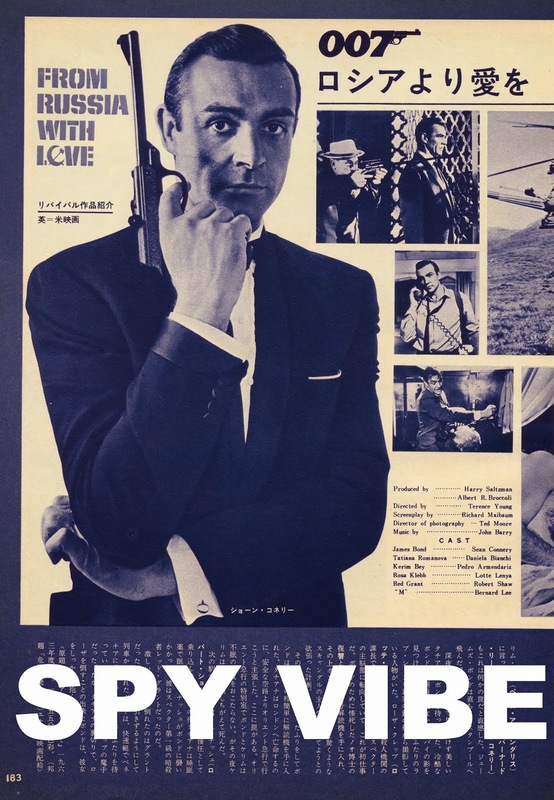 By the way, have folks heard Spy Vibe's new radio spot on Cocktail Nation? More info HERE. For readers who are not familiar with Police Surgeon, can you tell us a bit about the show and its context? If Spy Vibers have heard of The Avengers, and are aware of its history, chances are they will have heard about Police Surgeon. They may even have seen the one surviving episode (of 13 made), which has been issued on some DVD sets of The Avengers. Probably, though, they’ve heard little more than that, as information has not until now exactly been forthcoming. Whenever the series is discussed, it is almost without fail in terms of its ancestral link to The Avengers (its sudden cancellation led to the creation of The Avengers in late 1960). 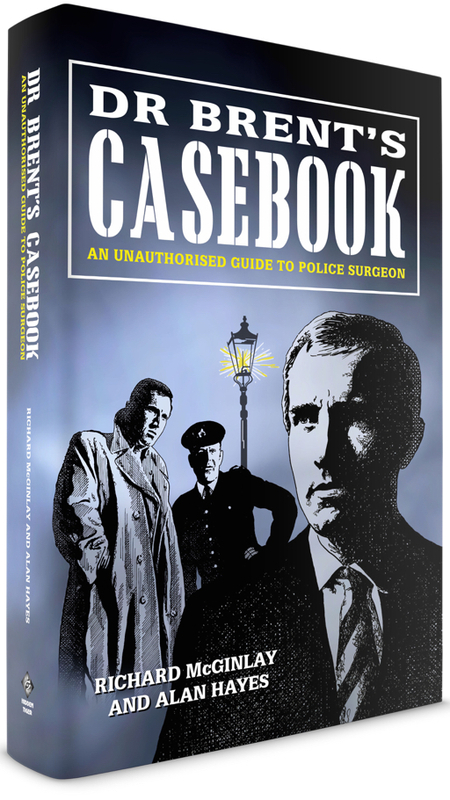 In writing our book – Dr Brent’s Casebook: An Unauthorised Guide to Police Surgeon – Richard McGinlay and I have endeavoured to look into the series for itself, and deal with it on its own merits, not just for the Avengers connection (which of course we do touch upon). Essentially, Police Surgeon was a short-lived 1960 British half-hour series made by ABC Television (the now defunct British company) that attempted to combine two popular television formats – police and medical, or cops and docs, if you prefer! It’s star, Ian Hendry (playing Dr Geoffrey Brent), was new to the scene, but quickly became very popular with audiences (a film career and more television beckoned, including The Avengers, The Informer, Journey to the Far Side of the Sun and Get Carter). In many ways, it had a lot going for it… but in true Spy Vibe style, it had trouble from an enemy agent, who was working against its chances of success. Sadly, the enemy was real, not fictional. But the book reveals the full story. What is the scope of the new book? What areas are covered? As the title suggests, the book is an episode guide. For many TV series, this sort of information is freely available on the internet, but with Police Surgeon, the facts are buried deep in the past, so it’s been quite a challenge to present the information in the sort of depth that we wanted to do. Beyond the normal focus on the narrative content of the episodes, we look at the production process, the creation of the series, its ultimate cancellation, and its legacy (which is where we get to The Avengers, of course, but also other series that perhaps it had an even greater influence on). We also present biographical details of some of the actors and production people involved, including all the major players. 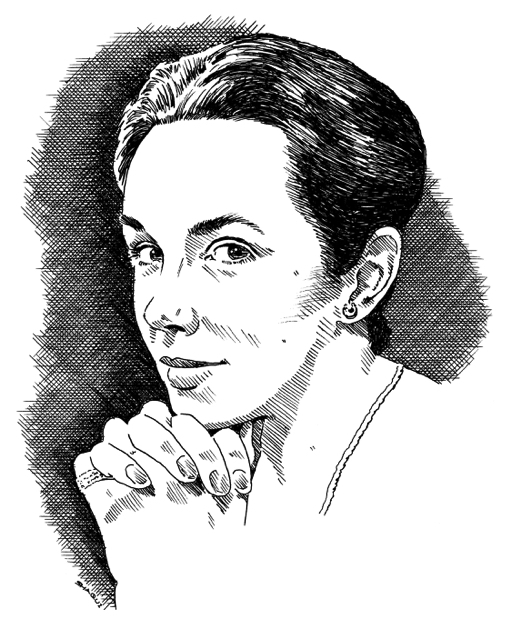 Additionally, and this is something that I think really enhances the book, we’ve commissioned artist Shaqui Le Vesconte to produce a series of illustrations for the book – and they are beautiful, quite breathtaking! 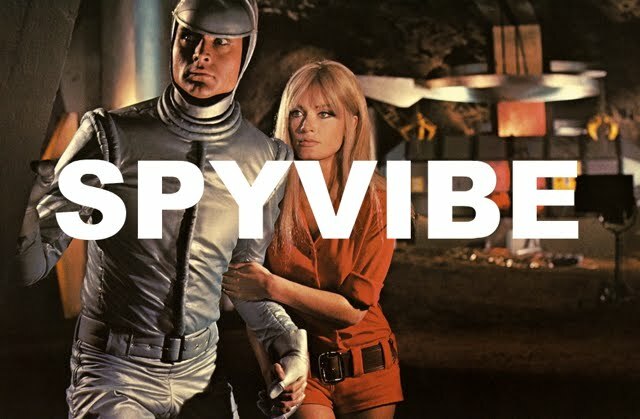 There are 14 in total, and a few of them are reproduced here at Spy Vibe. You've unearthed quite a bit of information about the series. What was your process of research and gathering materials? It’s been a long – but enjoyable – process, actually. We originally began writing the material for this book in 2014, when it started out as a prologue in which we discussed Police Surgeon for one of our Avengers books (now combined as Two Against the Underworld, published by Hidden Tiger). We chanced upon a set of 11 scripts, held in public collections in Britain and Australia, and quickly our short prologue ballooned, and we started thinking of Police Surgeon in terms of a book of its own (though of course it does get a mention in Two Against the Underworld). 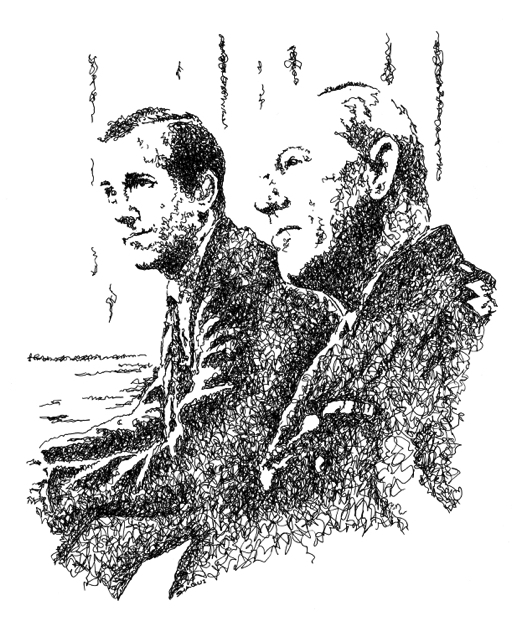 In terms of the actual research process, it has involved a variety of sources, including newspaper archives, the aforementioned scripts, archive interviews, and discussion with a variety of people who were involved in the series, such as the producer, Leonard White (who sadly passed away before the book was completed), ABC programme controller Brian Tesler and Peter Yeldham, who wrote two episodes. Of course, one of the problems with writing about a series made in 1960, is that a significant number of those involved in the making of the series are no longer with us. However, we feel that with the sources and support we’ve had, we’ve been able to present a pretty clear picture of exactly what happened. Is there any surviving footage from Police Surgeon? Just the one episode, as mentioned earlier, called Easy Money. It was the first to be transmitted, despite being the third in production. In many ways, it was of course helpful to us to be able to see an episode of the series, to get a feel for the show as transmitted (rather than just in terms of how it read on the pages of the scripts), but like everything with the research tools for Police Surgeon, it wasn’t going to give up all the secrets of the series. Bizarrely, it is the only episode not to feature Ian Hendry’s regular companion in the series, the actor John Warwick, who played Inspector Landon. A similar character, played by Robin Wentworth, takes his place in this episode. It is, however, fascinating to see, and sports a superb performance from Hendry and another that equals it from a young Michael Crawford (Some Mothers Do ‘Ave ‘Em, Barnum, Phantom of the Opera), both demonstrating their burgeoning star quality. As the series that laid the foundation for The Avengers to happen, did you recognize any qualities - either from the common creators or in content - that were carried over? Who were some of the familiar faces re: cast/crew that worked on Police Surgeon and The Avengers? The most obvious “familiar face” belongs to Ian Hendry, who of course transferred to The Avengers when Police Surgeon was unexpectedly ended. Alongside him in a couple of episodes was Ingrid Hafner, who also gained a regular role in the first series of The Avengers, as Carol Wilson, the nurse at the GP surgery run by Hendry’s character Dr Keel. Here, she plays… a nurse… at the surgery of Dr Brent! (The character’s called Amanda Gibbs in Police Surgeon.) The weekly episodes also featured appearances by Harry H. Corbett (Steptoe and Son, Carry On Screaming), Jean Anderson (The Brothers, Tenko), Geoffrey Palmer (The Fall and Rise of Reginald Perrin, Doctor Who, Butterflies), Janet Davies (Dad’s Army) and Mavis Ranson, who had the distinction of being one of the first people seen on screen in Doctor Who in 1963. On the production side, Police Surgeon was co-produced by Leonard White, who became the first producer of The Avengers, and Avengers directors Don Leaver, John Knight and Guy Verney and designer Alpho O’Reilly also figured in the show. Was there ever any merchandizing inspired by the show? Any novelizations? We do have a full list of merchandise in the book, but it’s very short… We even listed our book in it to pad it out! That probably answers your question! What are a few discoveries that stood out to you through the course of writing this book? The joy of researching and writing this book is that the discoveries have been pretty much a continuous thing. It’s not like writing about The Avengers, where so much of the research has been done before. With Police Surgeon, it has really felt like treading new ground, as so little was known before. To be able to present the storylines in detail has been a particular pleasure. For the first time since 1960, episodes of Police Surgeon are more than just a story title in an online guide, more than just a brief paragraph loosely summarising the narratives, and that has been a revelation. It’s meant that to Richard and I, Police Surgeon has gone from being a mysterious footnote in Avengers history to a living, breathing entity with its own voice. And now readers have the opportunity to introduce themselves to Police Surgeon as a whole, too. Where can Spy Vibers find it? Dr Brent’s Casebook has been published in hardcover, paperback and digital versions by Hidden Tiger with the printing and delivery of electronic versions handled by Lulu. Lulu frequently run special promotions, and currently Spy Vibers can save 15% on the print versions with the discount code FWD15 (electronic versions are rarely subject to such promotions – sorry!). In terms of the electronic versions, currently there is an EPUB version available from Lulu. A Kindle version is in the works as is a paperback edition via Amazon. 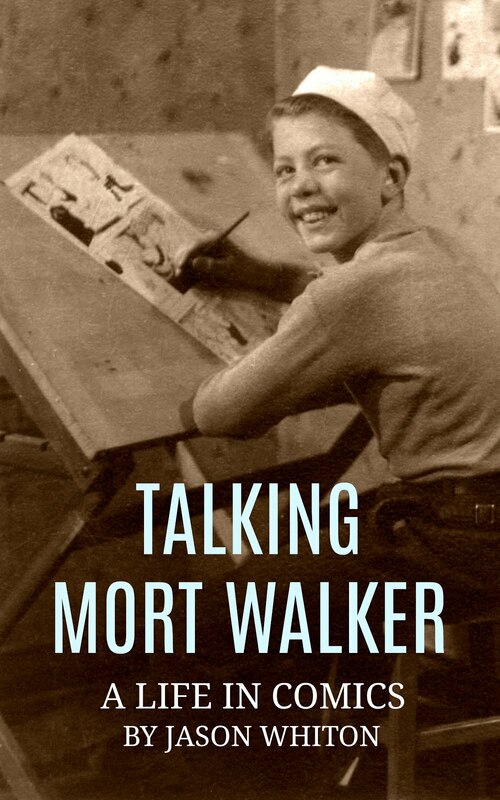 A PDF preview of the book is available for download from this page. Fascinating! Many of us have devoted much our lives to researching and celebrating this era, and it's exciting to see that new things are still being discovered. Thank you for stopping by the Spy Vibe lair, Alan. Thanks for the opportunity to chat about Dr Brent’s Casebook to Spy Vibe readers. It’s been a pleasure! 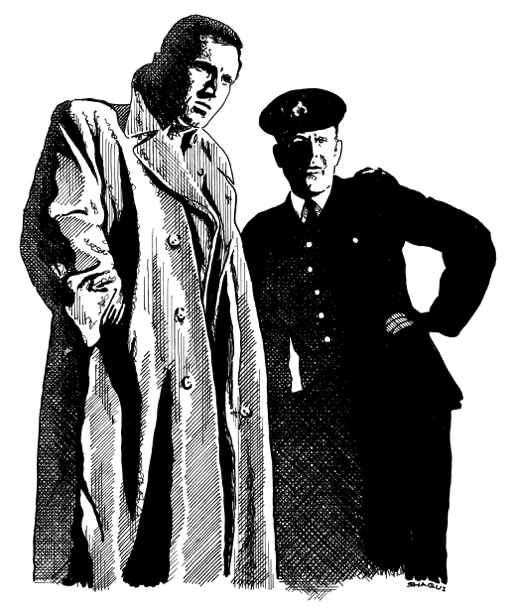 Related links: Alan Hayes Prisoner Audio Review, Interview: Avengers Two Against the Underworld, Umbrella Man: Patrick Macnee, Avengers Interview: Mike Richardson, Casino Royale Interview: Mike Richardson, The Saint Interview: Ian Dickerson, Avengers Interview: Rodney Marshall, Avengers Interview Rodney Marshall 2, John Buss Interview, Jaz Wiseman Interview, Farewell Steed.